For this piece Darwin's "On the Origin of Species" was translated into genetic sequence. Ultimately, a molecule of DNA would be created from the translated sequence, which could then "evolve" by adding the necessary replication machinery and reaction conditions to the molecule. 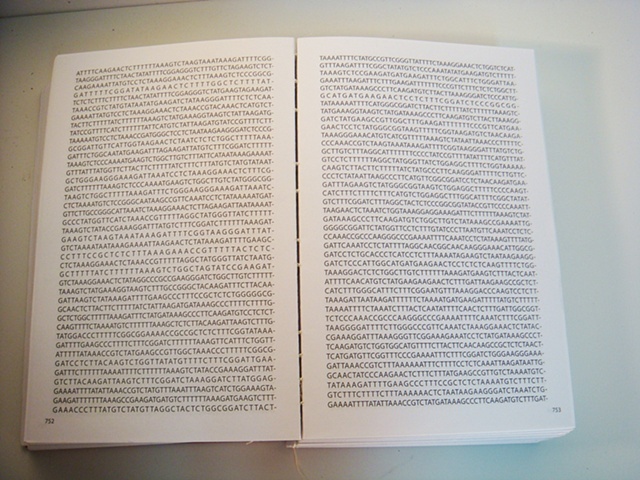 The book itself would be preserved in the form of the DNA molecule. The book displayed here is the translation, which ended up being 1,464 pages long.